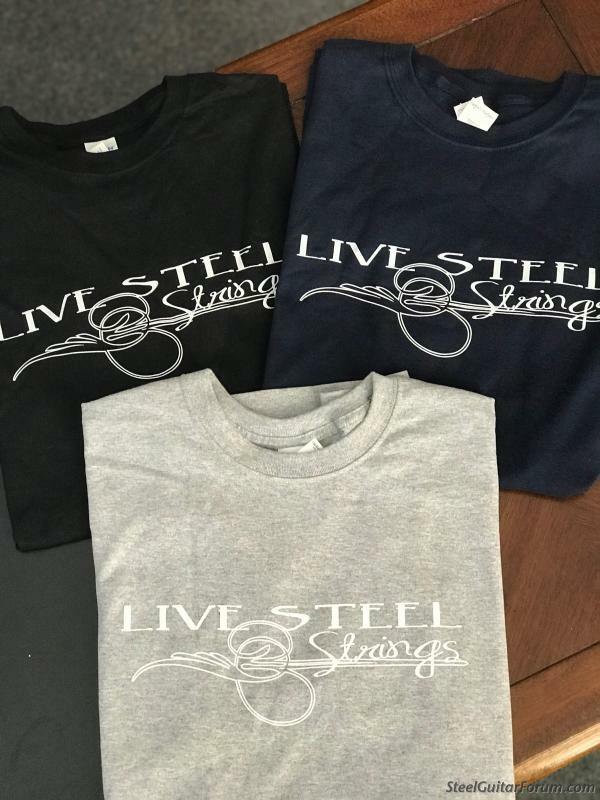 Live Steel Strings Has A New Website! Topic: Live Steel Strings Has A New Website! LIVE STEEL STRINGS IS PROUD TO ANNOUNCE THE LAUNCH OF OUR NEW WEBSITE! IT IS EASY TO NAVIGATE AND ORDER YOUR FAVORITE ITEMS! ALSO WE HAVE ADDED A NEW COLOR IN T SHIRTS! CHECK IT OUT! More t-shirts have been added to our inventory! We have added a NEW color to the inventory! Shop our NEW and IMPROVED website today! Just wanted to know what ya'll thought of our NEW and IMPROVED website?! New site easier to use. Do you still have decals? If you do send me one with my new order please. You got it! Thank you for your order!! You still need to edit the url in your "signature", which appears at the bottom of your message. Currently, it sends you to the old web site. You wrote and told me you accept PayPal, but still don't see that option. Had to stop my order half way through again. I'm missing something somewhere?? FIXED! Thank you for pointing that out to us! I still have my Paypal account, if you would rather pay thru Paypal please email or call me with your order and you can send payment that way.